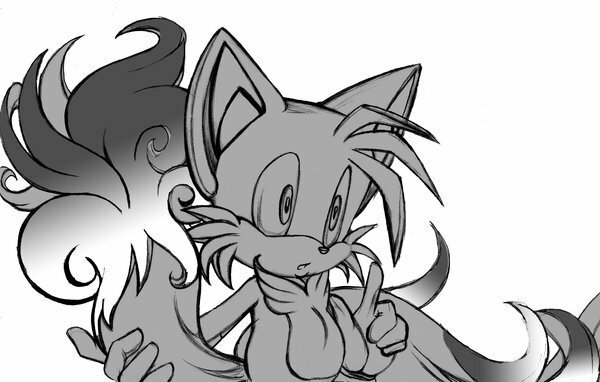 Tails the fox, mbweha. Art is JazzyBReals.. Wallpaper and background images in the Miles "Tails" Prower club tagged: tails little jazzybreal art fanart fox prower. great artwork? how do you ppl do it? That artist always does rad things with Sonic character's hair/fur.